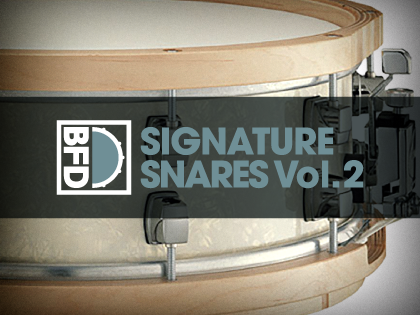 BFD Signature Snares Vol.2 is the second instalment of Yamaha artist signature snares for BFD3, BFD Eco and BFD2 - 5 detailed and immaculately recorded snares with varied beater types to swap into your kits. 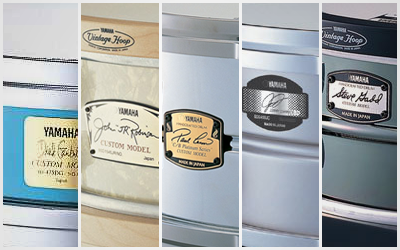 The snares are captured in similar conditions to the BFD Jazz & Funk and BFD Percussion expansions as well as those used for the Mapleworks kits in BFD3. The sounds work well with any combination of other BFD library sounds, offering a punchy and upfront sound with dynamic playability. When used in BFD3 and BFD2, the snares offer an additional 'rim click' articulation as well as a 'half-edge' for use with electronic drum positional sensing. BFD Signature Snares Vol.1 is also available.